Hooray! You’re here because you want to learn how to create your own travel blog in just 1 hour with me. Let me be the first to give you a virtual high five matey. I’m excited to be with you at this life-defining moment! But can I make money blogging? Is there room for me in the top travel blogs? Have a question? Pop a comment below! That’s natural and this is OK. This was me 2.5 years ago. I was overwhelmed, trying to make friends with technology and feeling a little bit helpless. Doing something new can be scary, because let’s face it…knowing how to do something, feels so much better than something you don’t. But in true Teacake style, we’re gonna face our fears, push our boundaries and reach our full potential today. Starting a blog is an easy step-by-step process. Let’s walk through this together and make some magic happen. Grab your laptop! We’re gonna change things up in your life, starting now! 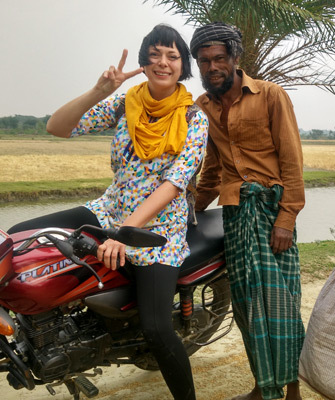 When I started Teacake Travels, it was for my love of solo female travel and feminism. I didn’t care about money. I was comfortably traveling the world by teaching English abroad. 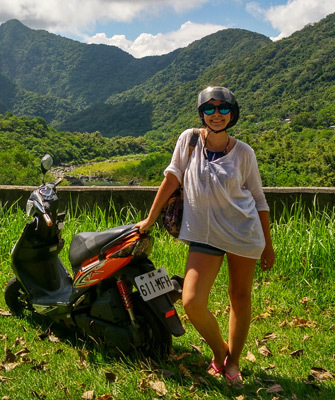 FACT: I didn’t learn how to make money from my solo female travel blog until 6 months ago! That’s what happens when you return from The Mongol Rally broke, having spent all your teaching wages on petrol, weird animal meat and Russian vodka. I’m learning now though and we’ll talk about this more in a later post! There is. The travel blog market is undeniably saturated but you got to be in it to win it. Be you. Write with passion. Believe in yourself. You’ve got this if you want it badly enough. You just have to take the first step with me today and follow my advice thereafter. I’m sure you have lots of questions about social media, how to work with brands and travel for free but take a deep breath. Let’s get your blog set up and existing first. A desktop computer, an internet connection, your credit or debit card and some kickass enthusiasm. If you want to make money from your blog, then follow my steps below. BUT, if you’re happy having a space on the web, for just your friends and family to read, then WordPress.com, Blogspot and other sites like this are going to be good enough for you. Please note that they’re not good enough for a professional travel blog which is going to make your money though. Your choice. Got it? Awesome. Let’s get started! Choosing a name for your blog and what you are going to write about is probably the hardest step in this whole process. You and me like a challenge though right? Let’s think about your travel blog name and brand now, so that you don’t run into problems in the future; particularly if you’re starting this travel blog to make money. Why is your travel blog name and brand so important? Because it represents you, what you’re about and will give you the freedom to be you. If you choose the wrong name or brand, it’s going to confine you. If you want to create a successful travel blog these days, it’s not enough to just write about ‘travel’. Five years ago you could get away with it, but with so many travel blogs out there now, you need a clear focus; a solid reason for readers to come and visit YOU. 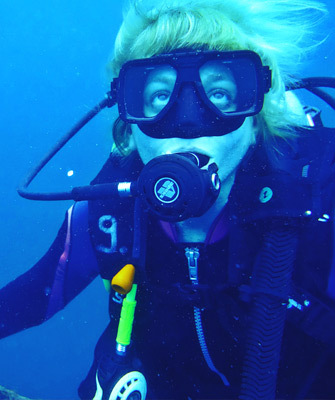 I’m passionate about solo female adventure travel, feminism and woman empowerment. I live it and breathe it, so it makes total sense for me to focus my writing and adventure choices on these 3 things. How about you? Are you obsessed with food, architecture, luxury hotels, going on cruises or exploring a particular country? Are you crazy about hiking, budget travel, traveling with your family or going to the next music festival? 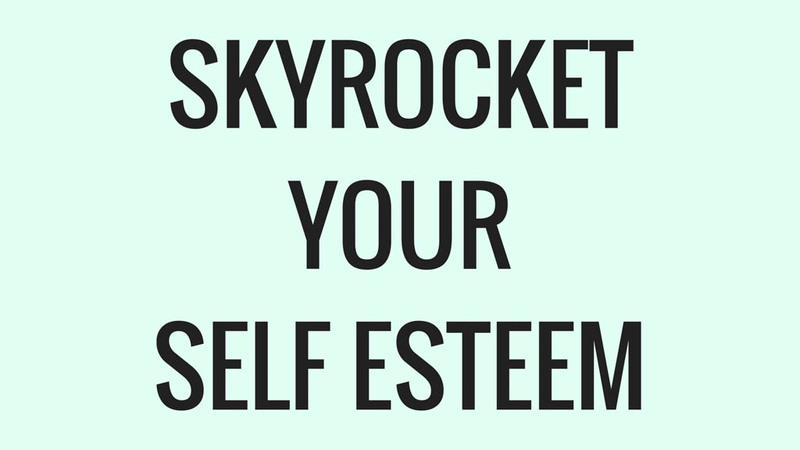 Look inside yourself and celebrate your awesomeness. Are you good at photography, writing, making videos, editing or flying a drone? Are you an extrovert who loves being in the limelight or do you prefer to be behind the scenes? Look at your passions and strengths and you will soon see where you should be putting your energy and time. A specific focus. For example, if you’re passionate about food in Asia and you’re a wizard at photography, you should be blogging about food in Asia with a heavy photographic focus. Ultimately, this blog is going to be your baby. Make it a baby that you’re going to love, even when the going gets tough. Travel blog names are so important! It establishes who you are and what you’re about. Make sure it’s a name you love because changing it and re-branding down the line, takes a lot of time and effort! There are 3 ways we can get our names for travel blogs now. They can be based around a) your name and identity 2) what your travel blog is about 3) a memorable, random unique name. ‘Teacake’ is my nickname and identity. I chose to name my blog this way. I am the face of the brand and not afraid to put myself out there. 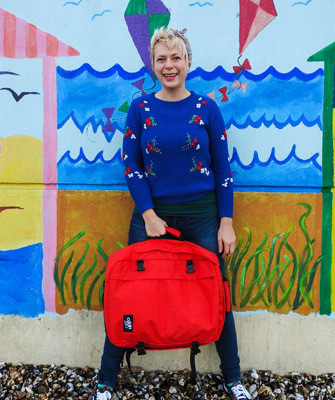 Other bloggers like Adventurous Kate and Nomadic Matt have done the same. This is great if you’re extrovert. If you want to remain behind the scenes though, this might not be the best option for you! Good travel blog names such as The Broke Backpacker, Women on the Road, A Lady in London and Tieland to Thailand, are clear. We can quickly see what these brands are about and whether they’re a blog we want to read. Just be careful that you don’t restrict yourself with your name. Some blogs have random names that don’t tell the reader about you or your blog but they’re memorable. For example, Momondo and Matador. You’ll have to work on establishing yourself in the travel blog world if you choose a unique name like this, so people begin to understand and know your brand. Make sure your brand has ample room to morph and grow. You don’t want to accidentally back yourself into one corner. If you’re that lady in London, you might not want to be trapped in the big smoke forever. The Broke Backpacker is also making good money with his travel blog now, and isn’t so ‘broke’ anymore. Both of these blogs have managed to grow their brand into different areas, but it’s taken time and effort. 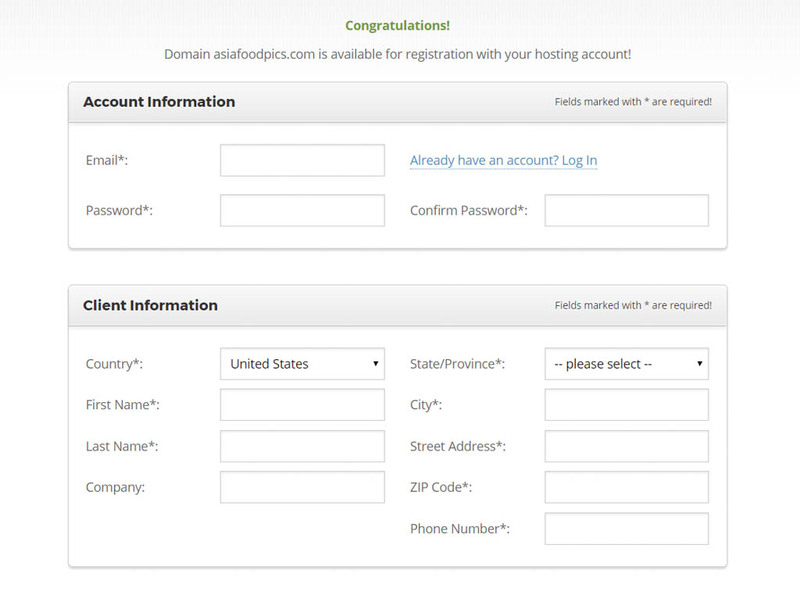 You don’t want to be using a blog name (domain name) which is already in use, so check if it is available first! Do a quick Google search incognito first to see if anything comes up. If it doesn’t, we might be in luck! Head on over to NameCheap.com to see if we can seal this deal. Type in the domain name you want to take (e.g. AsiaFoodPics dot com) and see if it is free. Is it available? No? Don’t fret. Get your thinking cap on and when you’re ready to move on, I’ll be here waiting. If your .com domain name is available, you can buy it here (for around $10 a year) OR if you want to buy your domain name with your hosting (covered in the next step), please wait and we’ll take of it. Some of you may prefer having everything in one place. Extra tip: check how your blog name looks with all of the characters together. My good friends The Curious Explorers have a great name, but with all the characters together it looks like this: thecuriousexplorers (do you see what I see?). If asiafoodpics dot com is not free but asiafoodpics dot net is, don’t go for it! This is your brand, so if someone owns the name already, you do not want sloppy seconds. It will be confusing for your readers. Make sure the domain name you choose is purely yours. This is also a great time to check if your blog name is available on Facebook, Twitter, Pinterest, Instagram, Snapchat, YouTube and Flipboard. 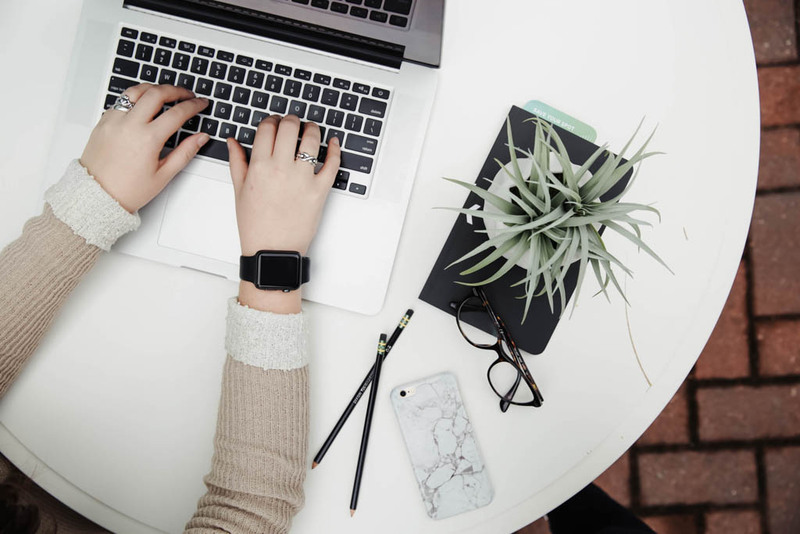 Continuity with your blog name across all of these social media channels is going to make it so easy for your readers to find you, so create and grab these profiles whilst you can! Congratulations! We’re at Step 2! Your brain may hurt a little from all that thinking, but now you have a clear focus and name for your blog. How cool is that?! Now it’s time for us to work on the technical blog stuff. Don’t panic. 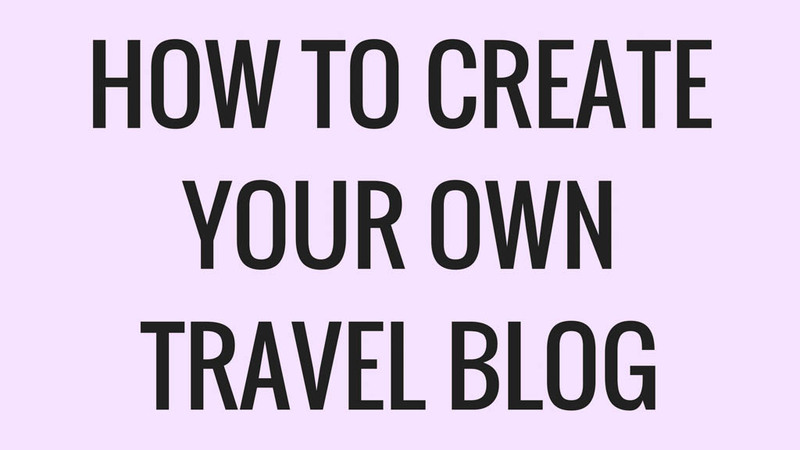 It is straight-forward and I’m going to help you create your own travel blog step by step. Hosting: Your blog needs to physically live somewhere on the internet. So a host is essentially your blog’s house. Domain Name: If a reader is going to make it to your house, they’ll need an address. Your address is your domain name – my domain name is www.teacaketravels.com. Content Management System: WordPress is a content management system, which is essentially a toolbox. It allows you to create and organise your content (blog posts, images and videos) to put inside your house (host). You can decorate your house with themes on WordPress (yes, I like things to be pink on here particularly) and you can add extra pieces of furniture (plugins) into this house to make your blog do special things. More on plugins later! I believe the easiest way to start a blog is to host it with Siteground. I love Siteground because they made finding a home for my blog incredibly easy, economical and friendly. Their website is simple and clear, and getting hosting with them was quick and stress-free. 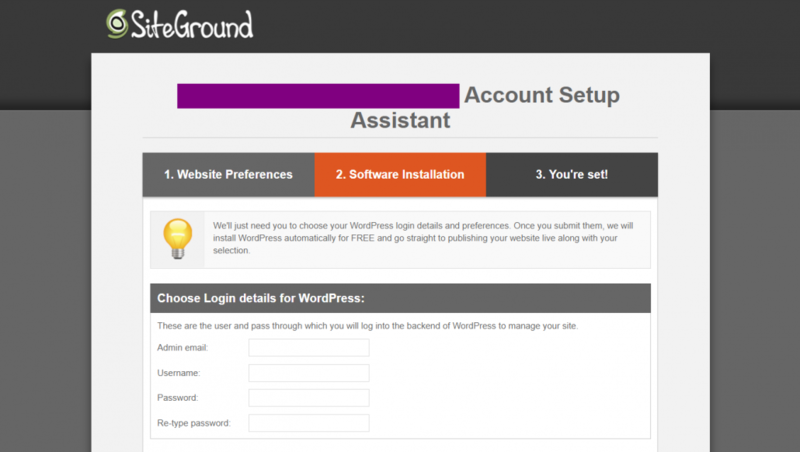 Siteground’s Starter Package starts from just $3.95 a month and has everything you need to start your own blog easily. Their servers are speedy, their security stringent, and the support is friendly and prompt. Do not hesitate to get in contact with them if you need technical help too. Siteground’s experts are there for you, 24/7, on the instant chat service. Do feel free to check out other hosts so you can get an idea of what’s out there. My experience has been fantastic with Siteground, so I’m going to walk you through the rest of the blog setup process with them. Click on the ‘Start Up’ Plan. This is great for newbie bloggers at only $3.95 per month. 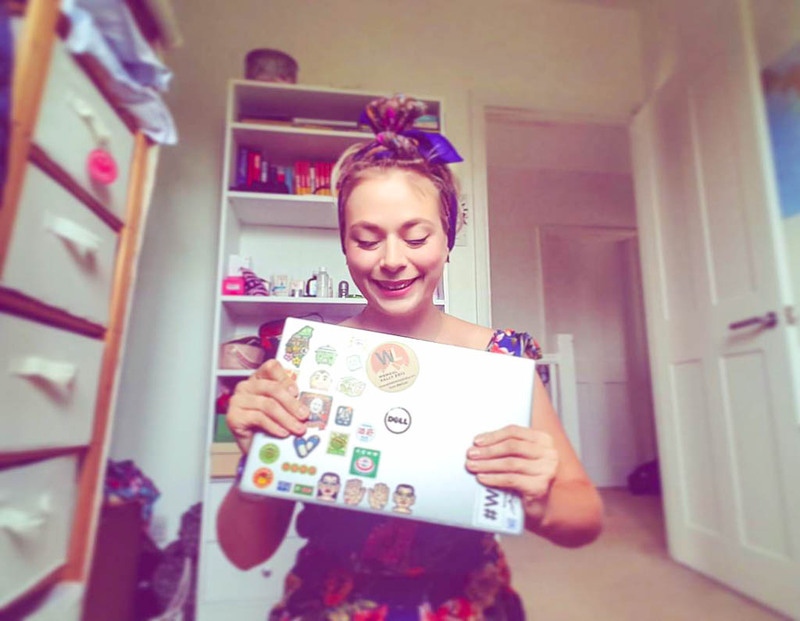 If you’re feeling ambitious and are determined to make your travel blog a business, the ‘Grow Big’ plan is ace too. Make your choice. If you decided to not buy your domain name with NameCheap then click on ‘Register a New Domain’ and type in the name of your brand new fabulous travel blog below. Click on proceed. If you did buy your name with NameCheap, it’s all good. 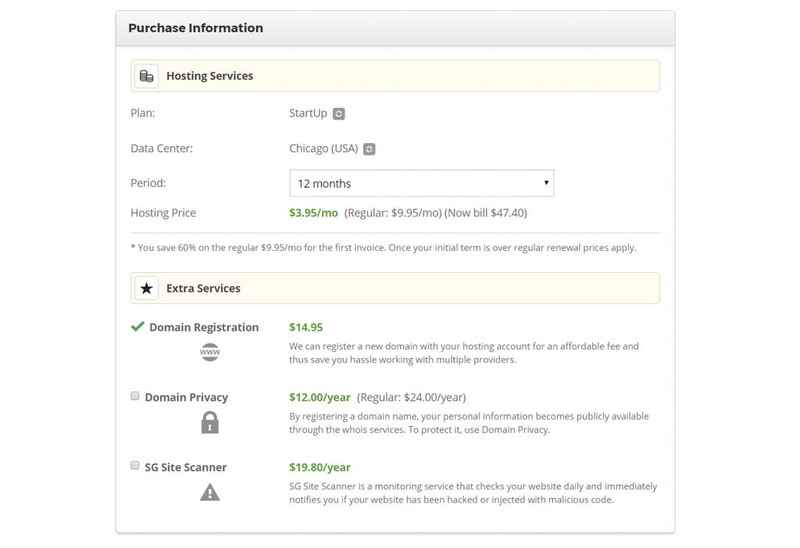 Siteground will transfer your domain name for free to Siteground hosting. Now it’s time to review and complete. Enter in your account details and personal information. Input your payment info then choose your Hosting Service. I recommend purchasing 12 months of hosting upfront so you get excellent service for under $50! Opting for the Domain Privacy and SG Site Scanner isn’t a bad idea but if you want to keep costs down, we can manage without them. Hit ‘Pay Now’ and you’ll reach a verification page. Click on ‘Complete Order Now’ and you’ll be put through to a lovely member of the Siteground staff in a chat box. They’ll ask you a couple of security questions about your site to make sure all is kosher. They’ll verify you then BOOM! You now have a host and domain for your travel blog. Nice one! 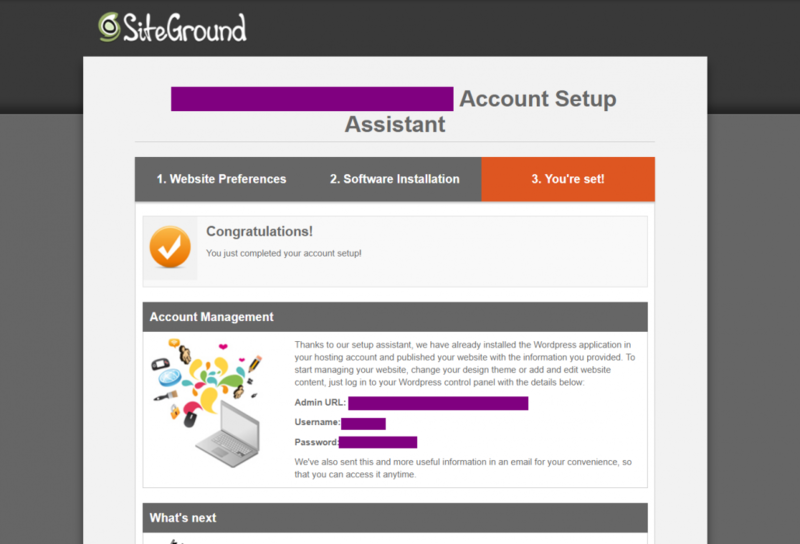 Pop to your email inbox that you signed up with to get all of your login details from Siteground. We’re nearly done! You’ve got your hosting with Siteground (the house for your travel blog). You’ve got your domain name (your travel blog’s address). 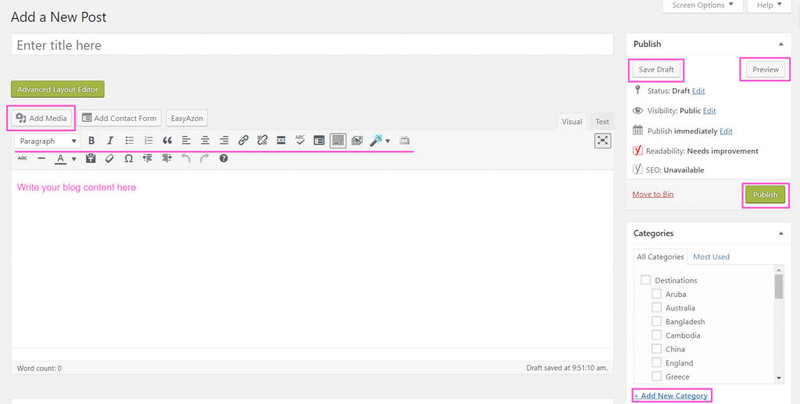 We just need one more thing: WordPress (your toolbox to create and decorate your blog). Remember that there are two WordPress sites. WordPress.com and WordPress.org. We want WordPress.org (as it’s going to let us do so much more with your best travel blog ever) and Siteground is going to install it all for us automatically. 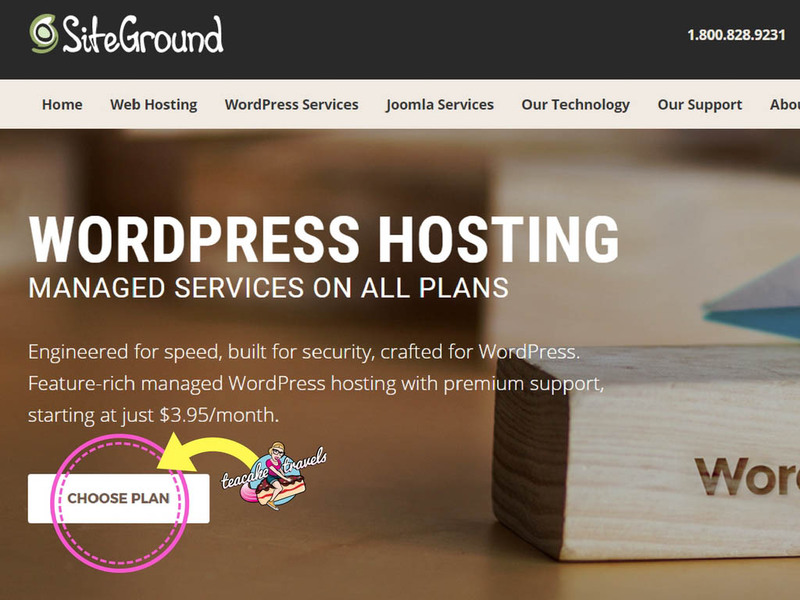 Here’s how to start a WordPress blog with Siteground. Login to Siteground and click on ‘Get your new site up and running!’ on the right hand side of the page. The Siteground Account Setup Wizard is going to pop up. 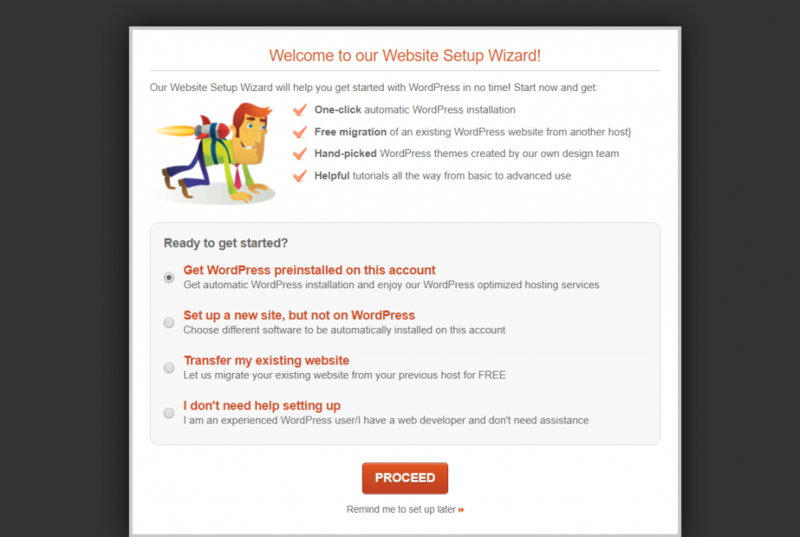 Click on ‘Get WordPress preinstalled on this account’. If they ask you what type of website you want, click on ‘Personal/Blog’ and then select ‘WordPress’ as your software. Next you need to choose your login details for WordPress. Make sure they’re good enough so that not any old troublemaker can get into your blog. Create your admin email, username and password. Now, if you want, you can start to decorate your WordPress travel blog with a ‘web design template’. This is called a theme, which I’ll discuss with you in detail later in this post. 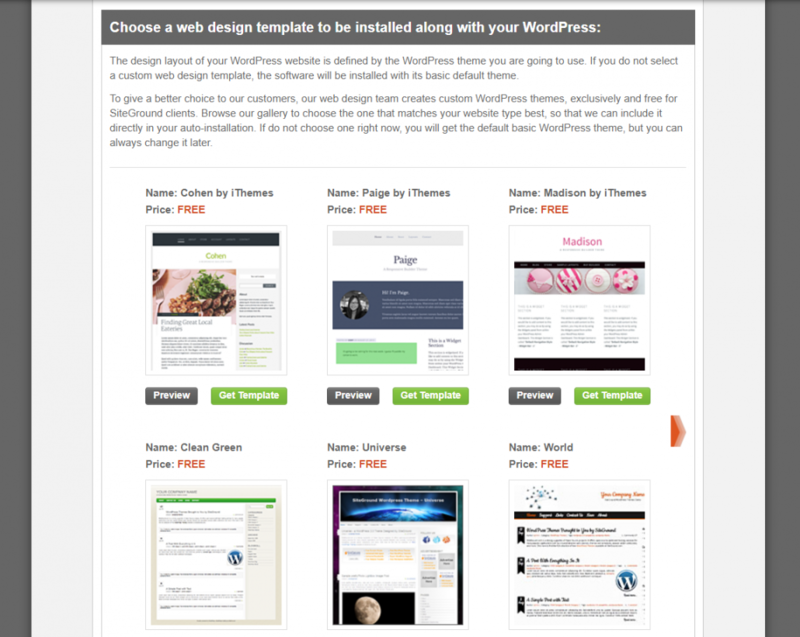 If you see a theme here that tickles your fancy, click on its ‘Get template’ button. If you want to wait, no problem. We’ll sort this later. And then? Woohoo! You now successfully have all the 3 things completed to create your own travel blog. High five! 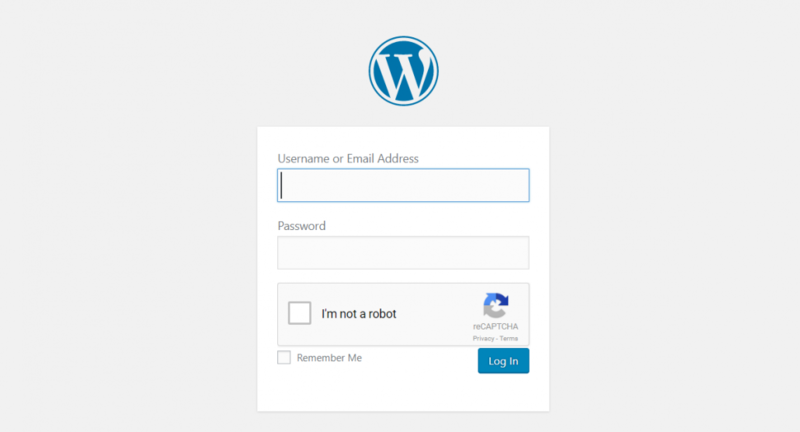 Make sure to keep your WordPress login details in a safe place! Store this info somewhere. It will also be emailed to you by Siteground. You can stop here and take a well-deserved break OR you can carry on and read my tops tips for when you first open up WordPress to start blogging. Let’s go! Now we have everything set up, let’s see the fruits of your labour and learn how to start blogging in WordPress! See your Admin URL above in the previous image? Copy and paste that! Let’s go and visit your brand new travel blog yay! Enter your username and password and click ‘log in’. Welcome to the world of your own WordPress travel blog. When you log in, there’s going to be lots of different options before you. Don’t feel overwhelmed. Tool boxes can look confusing at first but soon enough, you’ll know how to use all the tools in this box! On the is a screenshot of my Teacake Travels WordPress dashboard. It may be a different colour to yours and have some extra bits and bobs, but most will be the same! From here, you create a new blog post by clicking ‘posts’. You can add images by clicking ‘Media’. You can also change the theme of your travel blog by clicking on ‘Appearance’. There’s lots to play with! 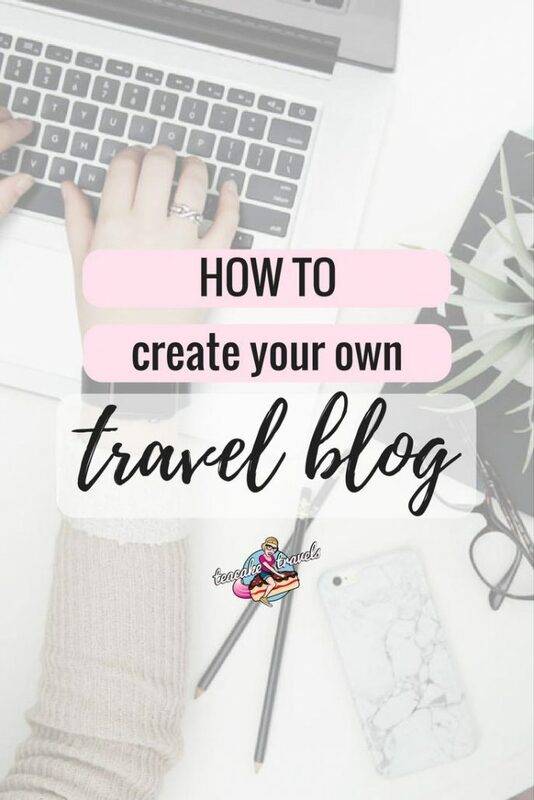 Let’s start setting up your travel blog the right way, so you’re starting a travel blog like a pro. Open a new window in your web browser. Type in your travel blog URL and hit enter. How’s it looking? Do you want to change the theme? Let’s try! Click on ‘Appearance’, then click on ‘Themes’ and then ‘Add New’. From here, you can do some serious WordPress theme window shopping and try different ones to see what look and feel you like. *Warning*: prepare to lose a couple of hours of your life whilst having a lot of fun. Want something better and faster? Seriously consider paying for a theme. I use the Enfold theme from ThemeForest and love it! I can customise this theme any way I want to make my blog look any way I want, and do anything I want. Highly recommended. If you’ve decided to go ahead and buy a theme for your new travel blog through ThemeForest, you’ll download a WordPress file that can be installed. Once that’s done, click on Appearance > Themes > Upload. Upload the zip file and you’ll be set to start creating! To customise your WordPress theme, go to Appearance > Themes > Customize. From here, have a play around and make your theme the way you want. If you have thought long and hard about your ‘brand’ then take some time here to make sure your theme matches this. I have pinks and purples to represent my brand. Ask yourself: What colours will suit my brand and focus? Then go ahead and start making this travel blog truly yours! Me flying around on a cake is my brand logo! It’s on the top of every article, on all my Pinterest pins and also my social media cover photos. A logo builds brand awareness and readers start to recognise who you are. I recommend 3 ways to get your logo. Canva: If you’re on a budget and confident in your own design skills, start with Canva. It’s completely free and has plenty of customisable templates you can experiment with, to create your own banner. Fiverr: For a step up, you can easily ask a designer on Fiverr to create a logo for you. Expert designers on here charge as low as $5 to create a logo and you can see their reviews and work first before you contact them. 99 Designs: Have a bigger budget? 99 designs allows you to set up a competition with designers. You tell them your logo design brief, and they compete against each other to design the best one for you. You pick your favourite and voila, you’ve got a professional looking logo. Plugins are extra tools that you can add to your WordPress toolbox. Just like there’s an app for everything these days, there’s also a plugin for you to download to your blog to make your life easier. Plugins can do thousands of different things; some are for blog security, some let your readers share your posts, others make your site speed faster (and so many more things). The plugins below are my starter essentials! Click ‘Plugins’ on the left panel > Add new. Search for the plugins listed below, download them one by one and activate them. Protect your blog from spam! You’ll quickly see that weirdos love to leave spammy comments on your blog posts about the most *interesting* products and services. Let this plugin filter out all the rubbish, so you don’t have to. This plugin essentially makes your travel blog load faster when readers visit it. Slow-loading websites turn people off, so make sure you don’t lose them. 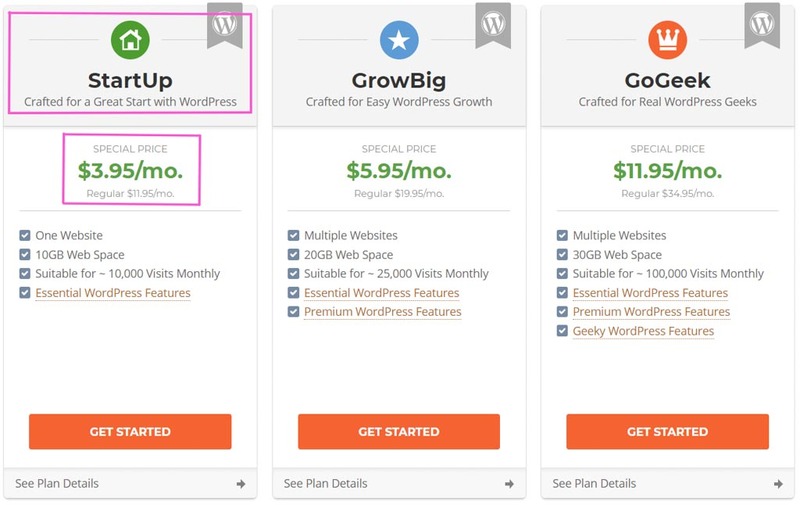 Bonus Tip: Siteground’s ‘Grow Big’ plan has this feature within it, so you don’t need to worry about this if you opted for this! WP Optimize is your little spring cleaner. Use this to clean up unnecessary scraps WordPress produces and clean out your spam box all in one go. You’ll quickly hear about SEO when you become a travel blogger. SEO (search engine optimisation) is about using different techniques and keywords in your blog posts to ensure you reach page 1 on Google search results = more readers coming to your blog. Yoast SEO gives you an excellent checklist to complete for each blog post so you have a better chance of being seen on the interwebs. To get your blog posts out to the masses, it’s great to have ‘share’ buttons on your blog posts. SumoMe will create a floating sidebar on your blog posts so readers can share your posts on Facebook, Pinterest, Twitter and so many more social media channels. Google Analytics is 100% essential if you want to see who is reading your blog and where. You can see what your most popular posts are and how many people visit your site each month. Without these statistics, you can’t show brands your worth. Install Google Analytics for WordPress to get started! Travel Blogging can be overwhelming. You can easily get stressed out when you start and consequentially quit too early. Do you have no idea where to start, what to focus on, what to work on now and what to leave till later? I spent endless hours trying to work it all out and wouldn’t wish it on you to do the same. I’ve found the Travel Blog Monetization Course to be the best step-by-step guide on how to take your blog from zero to hero and it has saved me a ton of time. Check it out to be the most productive you can be. Before you start your first ever travel blog post, I recommend changing one setting on WordPress to make your SEO better. Go to Settings > Permalinks and select ‘Post name’ as your setting for post URLs. Scroll down and click ‘Save Changes’ then you’re ready to start! OK, let’s write your first ever travel blog post! Go to Posts > Add New and you’ll reach this page. I’ve highlighted some key features for you. Click on ‘Add Media’ to add some fantastical images. Make sure to save your draft frequently and click on ‘Preview’ to see how it will look to your readers. Start organising your content by creating a new category for it and when you’re happy with what you’ve created, hit ‘Publish’. Congratulations on creating your first ever blog post! Pages are different to blog posts. Pages are static and don’t have a category. Pages are usually displayed at the top of a blog and contain essential information to help the reader understand and navigate your site. Your ‘About Me’ page is the most important page you will make. It will help your readers know who you are, what your blog is about and ultimately if they should stick around for you or not! Here’s my About Me Page for your inspiration! To create your own click on Pages > Add New and start creating! Well done for making it all the way to the end of this ‘How to Create your own Travel Blog’ guide. I know it is a lot to take in but hopefully you’ve taken it step-by-step like a wizard and have a strong foundation to start your travel blog journey. If you do get stuck, Google really is your best friend. Search for your problem and hundreds of articles will come up with the solution. I’m sending you big hugs and I’m genuinely excited for you from this point forward. Affiliate links are included in this article. What’s an affiliate link? I’m recommending certain products and services to you in this article (which I’ve tried, tested and love). If you click on one of these links, I get a little bit of money paid to me by the company, at no extra cost to you. Thank you for supporting Teacake Travels! I am starting my travel blog right now, but, to be honest, I would like about other topics too. Thank you for all the valuable tips, they are very useful for me! No problem Dave! Good luck with the travel blogging – you got this! I just start Ming to write the blog of my adventure to be a guide in my own island . I don’t really things to earn money from it just to uncreated my google rating for some of the key word that I focusing . My English isn’t a good enough but by writing a blog I can learn a lot of thing . That is really interesting- never heard of siteground before. Do they do blogger as well? Also, I agree about the dot com versus the dot net. Important all around. Thanks for your honesty! There is such a lot to think about when starting a blog. I had to figure it out all along the way, and without as much good information as you have here. 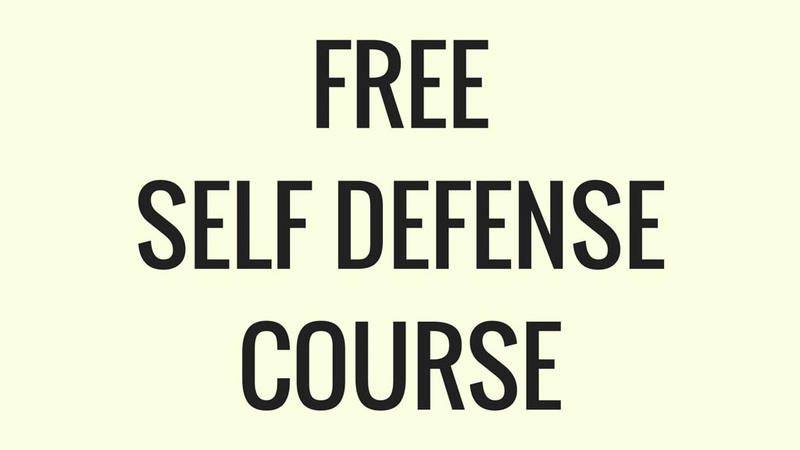 This is a great resource that I will point people to should they need assistance. Starting a blog is quite easy but making it a profitable brand is really a tough business as it takes lot of passion, efforts and time. Your step guidelines on how to make money and start up a blog are really great.Thanks for this sharing. You’re right Kavita. When starting, be prepared to put some good old effort in and you will get there! Starting a blog and growing it into a profitable brands is never an easy one, most newbies this days just rush into blogging because they heard there is much money there without understanding the ethics of the game. I really love your step guidelines on how to make money and startup a blog. I must be honest, next month I will become a year older in the blogging world and uptil now my two blogs has never fetched me a dine, but because I know now doesn’t matter but the future is brighter. Thanks for this sharing. Hi Reginald! Thanks for stopping by :D I didn’t care about making money from the blog when I started it. I just wanted to write as I was teaching English abroad and making a healthy wage from this. The blogging quickly took over though. When I quit my teaching job I proclaimed I was going to be a ‘travel blogger’ but I had no idea to make money lol. So I didn’t for around a year. If you do want to start monetising, the Travel Blog Summit will help you out a lot! But if your blogs are purely for love and expression, you go for it dude! Keep up the awesomeness. This is brilliant! It has covered absolutely every step to setting up a blog. I wish I’d read something like this when I was setting up, would have been so much easier than muddling along myself. Ah thank you Helen! I really do hope it helps the newbies. I certainly needed this too when I was starting out! Running a blog takes so much time and energy but it’s so reward when you’re really passionate about what you do. These are some great tips and inspirations for new posts. Thanks Ania! Passion is going to be your no.1 drive and joy for the blog, so I do recommend everyone has it before they start >< Have fun blogging! This post is very inspirational. I’ve been thinking about setting up a blog, and of course would like to make money with it in the future, but I have one question. I know myself, I can get ideas in my head, and then not continue with it. So before investing in a domain name etc: is it possible to first start a ‘normal’ wordpress blog and then, if it turns out I actually do keep up writing etc, do the conversion to the system you describe? It takes a lot of time and commitment to be a blogger in any niche. There are so many bloggers out there it can be very difficult to become a top blogger due to the competition. Wow! Great info. Will show this to my newbie friends! Great guide! Defining your niche is super important and having a strong topic. It sure does take a lot of work to get a blog up and running though – more work than I ever imagined! A lovely article indeed about getting started in creating your own blog post. Went through most of all the above as a newbie trying to kickoff. Also using a dot com is way better than a dot net. Thanks for sharing! Very true! Glad you agree about the dot com. It’s definitely the way to go! Great read. I set up my blog a few months ago, and have not yet worked towards making money from it, but I should definitely start looking into it. What tactics would you recommend? Such a detailed description. I had created my website 1 month back and it needs a lot of patience. I learn each and every thing from youtube videos and blogs. This one is indeed helpful. Great tips, I use Siteground too. I tried a lot of hosting companies in the beginning and none compare to their amazing customer service. I’m very happy to hear you’ve had great service with Siteground too! I totally agree with you that running a blog takes time and effort and I love that you’re helping people to open a blog, there’s always room for passionate new bloggers! The guide is really informative and complete, thanks for sharing it. I remember my days of starting my blog, I think the hardest thing was choosing a theme. Of course, I didn’t do anything until I had picked a name and I feel like I managed to have the name in all my social media accounts. I think the emphasis should also be “never name your blog after a place” that limits you to that place even when you want to broaden up. Yes absolutely! Don’t be limited by choosing a restrictive name. I’ve changed my theme a couple of times since starting nearly 3 years ago >< I'm always tweaking something. A really comprehensive post for people starting out. Looks like you put a lot of effort into it. I love the step by step approach as well. I would have love reading your post a year ago when I started our family travel blog. But it was just recently that I have taken the blog more seriously. Starting with the site, new theme ect. Then changing style of my layouts in the post (still changing). Eventually I hope to earn some money! For now I am just try to enjoy writing. Yeah our blog name looks horrible when put together. Sounds like family yearth trek instead of family earth trek. But we like it. If you enjoy blogging then you’re halfway there! Starting a blog purely for the money means you might run out of steam down the line >< Maybe it depends how much you earn lol. I just created my own blog 6 months ago and I have realised, it takes a lot of passion, effort and time to actually get it out there. For people to know you, your blog, it takes time and you cannot afford to be impatient with it. It’s a good read, very encouraging to read about success stories of other people. Thanks for sharing !